Helix Pond Filtration systems represent the next wave of innovative technology for the pond, waterfall and fountain experience. Aqua Eden is excited to be an authorized dealer of this revolutionary product line. We firmly believe that this product line will dramatically change the way in which we interact with our water features. Over the past few seasons we have put this equipment through some intense Minnesota style weather extremes. 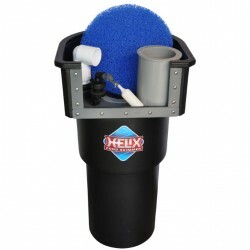 Our winters can be GAME OVER for many brands of pond supplies and equipment, but not the HELIX brand! 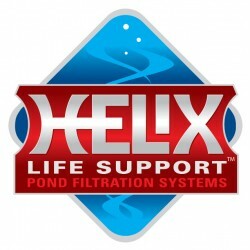 Like many Minnesotans, this pond filtration brand take a beating in the winter! However, when spring rolls around, we are all ready to enjoy another tranquil waterscape season without missing a beat! 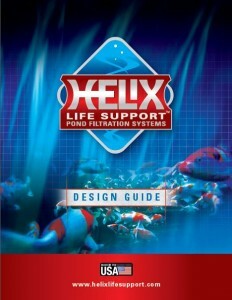 Check out the Helix Pond Design Guide! We are currently working on getting our entire pond filtration line loaded to the online store ready for the 2015 season. In the mean time check out these YouTube Videos that highlight some of the benefits of the Helix Line.